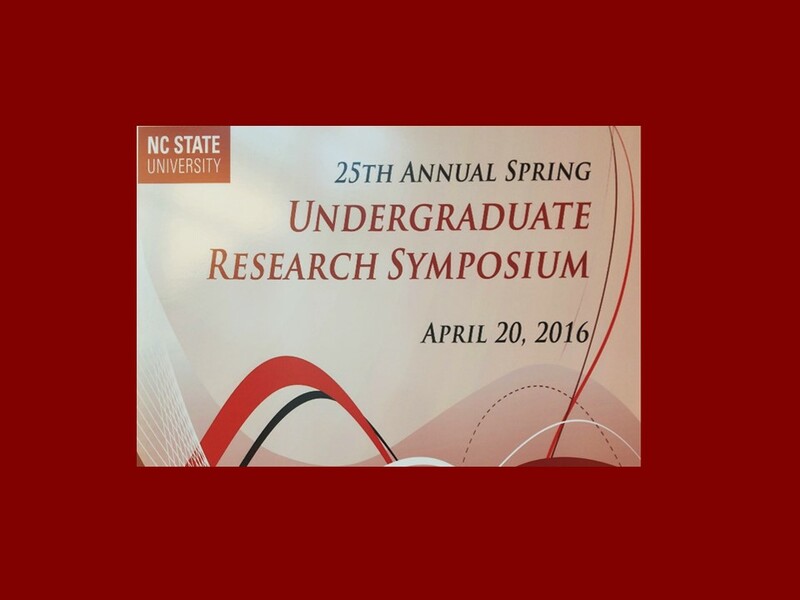 Another North Carolina post to congratulate two of our undergraduates who presented their independent research at the NC State’s Annual Spring Undergraduate Research Symposium. Elisabeth Frasch is an undergraduate in the department of Forestry and Environmental Resources as well as a College of Natural Resources Student Ambassador. Last summer she received a NC State undergraduate fellowship to travel to Abaco, The Bahamas to conduct an independent research. 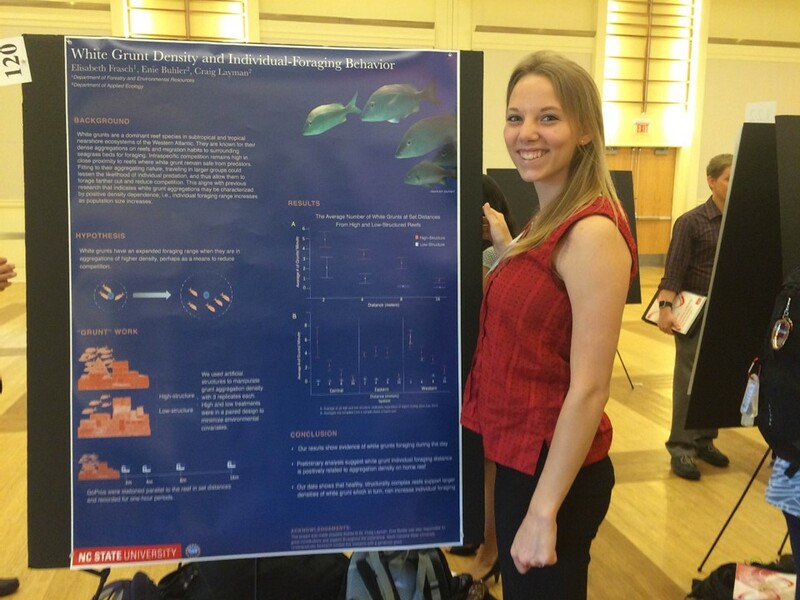 Elisabeth investigated the foraging behavior of white grunt and you can see more details on her poster here. Stephanie Wenclawski is an undergraduate with a biological oceanography concentration and a Park Scholar’s and University Ambassador. 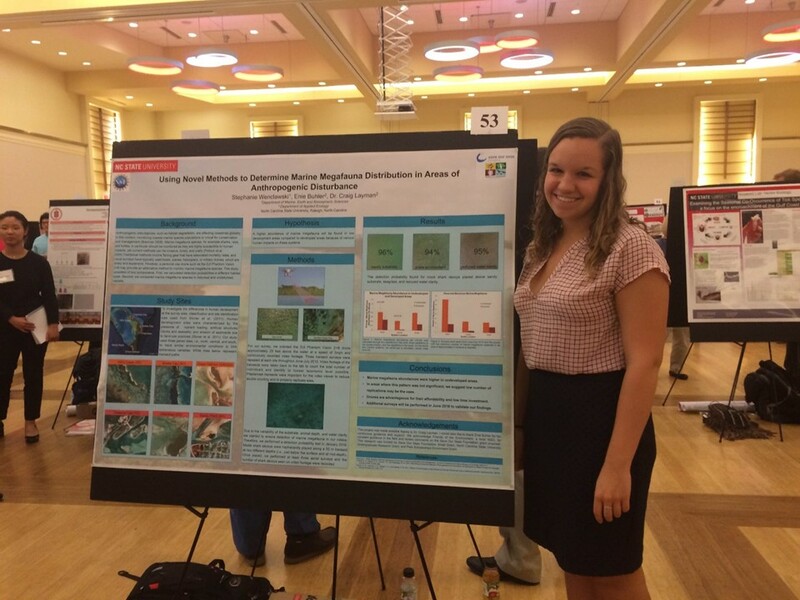 This spring she received two NC State undergraduate grants to visit Abaco, The Bahamas and contributed to our on going Save Our Seas Drone Project . 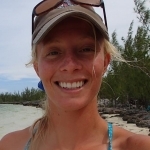 For her independent research, she performed a detection probability test on our method for using small, personal-use drones as a survey method for marine megafauna in nearshore communities. Click here to see her work. Broadly my interests lie in exploring the intertwining interactions between top-down and bottom-up mechanisms that have been anthropogenically impacted in coastal ecosystems. Currently, I am investigating how structure complexity and the presence of top predators affect patch reef fish communities in Abaco, The Bahamas.